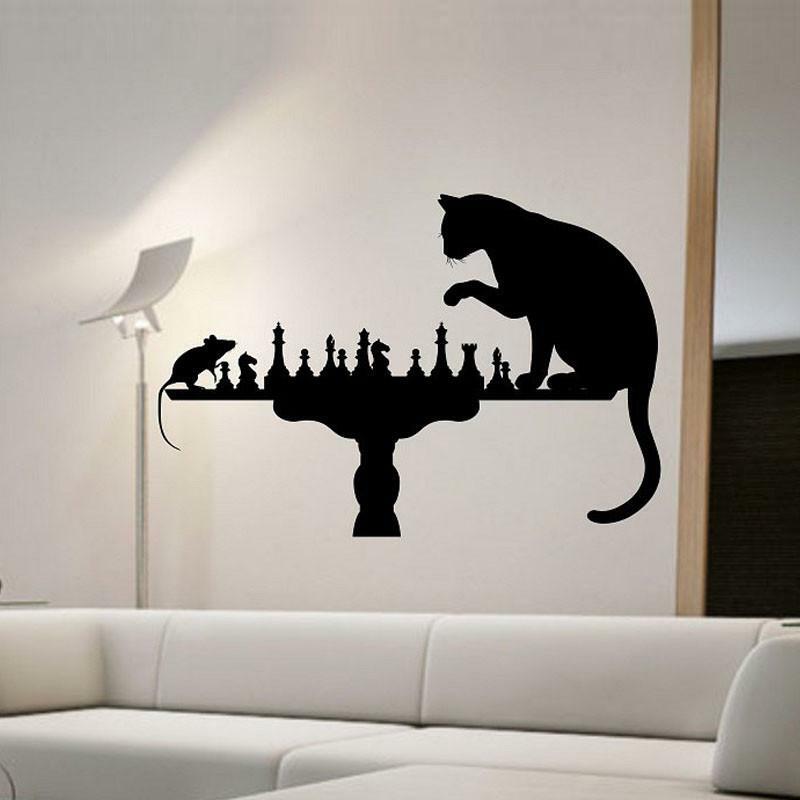 11 Coolest Chess Themed Products for You. Chess is an interesting game, but its not meant for everyone. Don't get us wrong; all outdoor games aren't meant for everyone either, for example basketball or rugby. Basketball players have some height requirement and when it comes to rugby player's requirement is being sturdy with a tough head. And when it comes to chess its no different, it's a game of intelligence. A high level of intelligence makes it a lot easier when compared to a person with average intelligence. 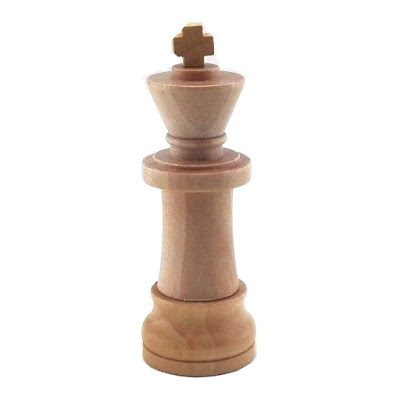 That doesn't mean we aren't supposed to play it or enjoy it or how about having chess themed products for our daily life? And these do make great gift ideas for chess players. 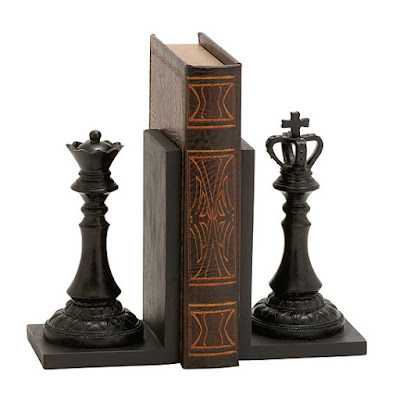 Royal King and Queen Bookends: When it comes to chess pieces, who can be better than the Royal King and Queen to organize your favorite books? Use these in your bookshelves or tabletops, to organize your favorite books or DVDs or CDs; its up to you. Buy Now. 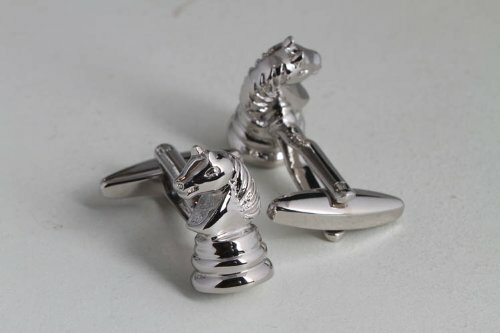 Knight in Chess Cufflinks: The knight move is unusual among chess pieces and now he comes as cufflinks to decorate your shirt to make you more handsome. These are 18K platinum plated, gives a touch of elegance and fashion to a tailored appearance. Buy Now. 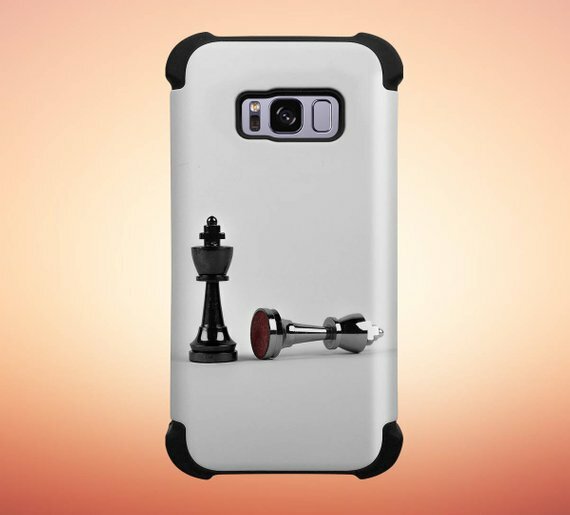 Checkmate Chess Phone Case: The checkmate pieces on your phone case is just perfect for letting the world know that you are good at your game. It's for iPhone, Galaxy, Note and Pixel. Buy Now. 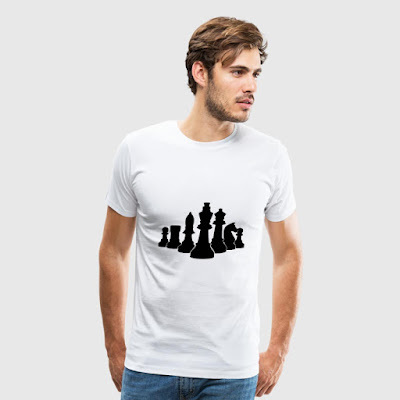 King Of Chess Men's Premium T-Shirt: The King Of Chess Men's Premium T-Shirt is just the thing you need to let the world know of your liking for the chess. The t-shirt can be personalized; it's soft, comfortable and durable. Buy Now. 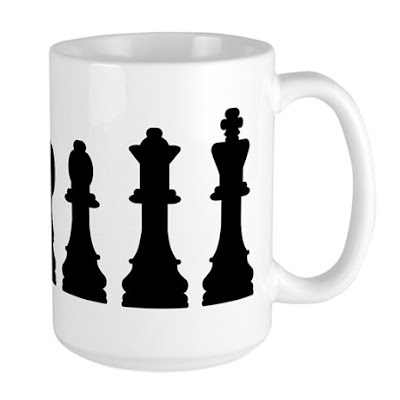 Chess Cup: There is nothing like a fresh cup of coffee in the morning, and when it comes in your favorite cup then it just makes your day. A perfect day start is sure to give you a great day ahead. Buy Now. Royal King Pen Drive: If you are among those who still use a drive to transfer the data and haven't moved over to cloudservers, then you can definitely use Royal King Pen Drive. He is here to hold and secure your 16 GB of data and sits comfortably in your purse or briefcase until you need him. Buy Now. 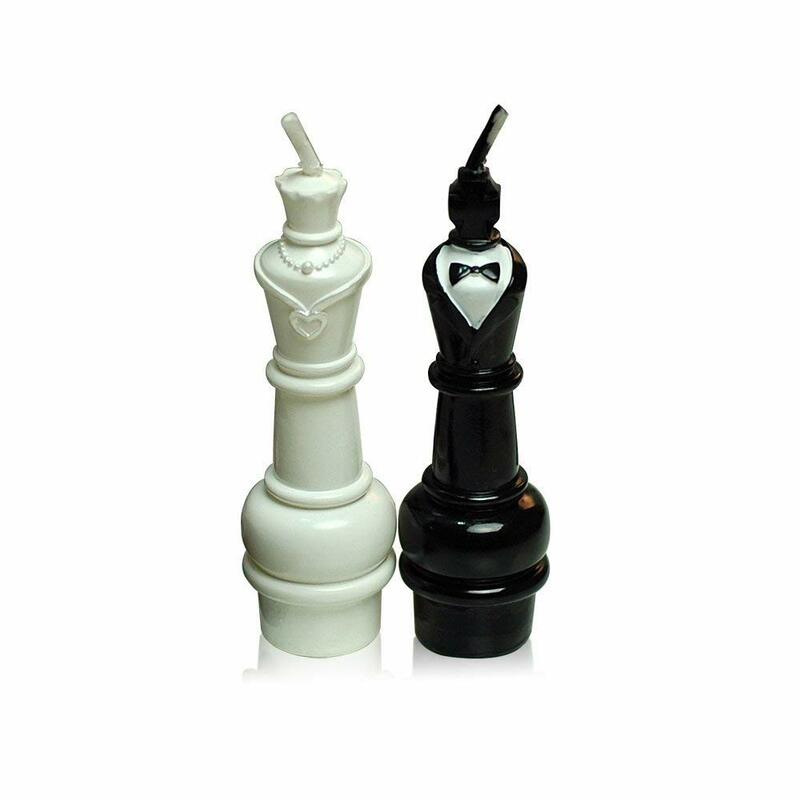 Royal King and Queen Birthday Candles: The Royal King and Queen Birthday Candles are just the thing you need to give a touch of chess to your celebrations and what more better can be when you have the Royal King and Queen as a part of your celebration? Buy Now. Rook Table: Rooks are considered stronger when compared to the other pieces and now he comes as a pedestal table. 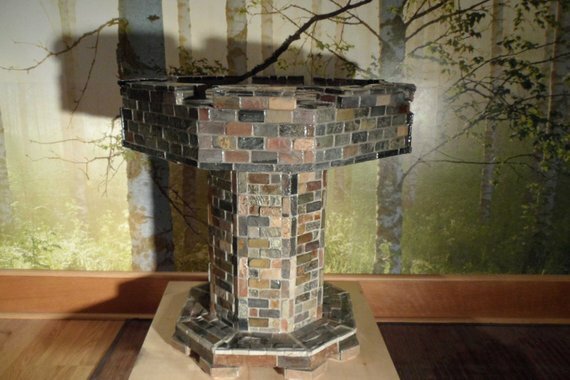 Its handcrafted from hard wood and then wrapped in stone. It measures just over 2 feet tall and 2 feet wide and weighs in about 110 lbs, and comes with two hidden drawers right in the stonework. Buy Now. 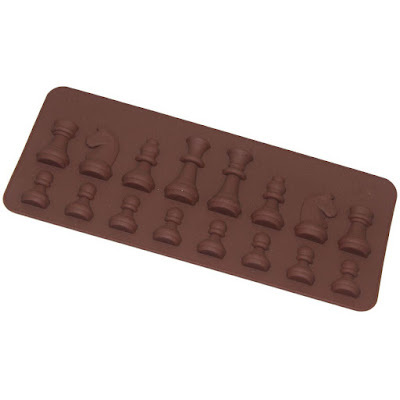 Chess Pieces Icecube Tray: What more better can be when you can mix two of your favorite things at one go, enjoying your favorite beverage compliment with the pieces from your favorite game to keep it at the perfect enjoyable temperature. Buy Now. Cat Playing Chess With Mouse Wall Stickers: When we hear or read cat and mouse together in a sentence we just think of Tom and Jerry, these guys have entertained many of us over the decades and still are good at it. Now we have their cousins who seem to have improvised not only in their behavior but also intelligence and are busy playing a game of chess rather than chasing one and another. It's a removable decal, and can be placed as per your liking. Buy Now. 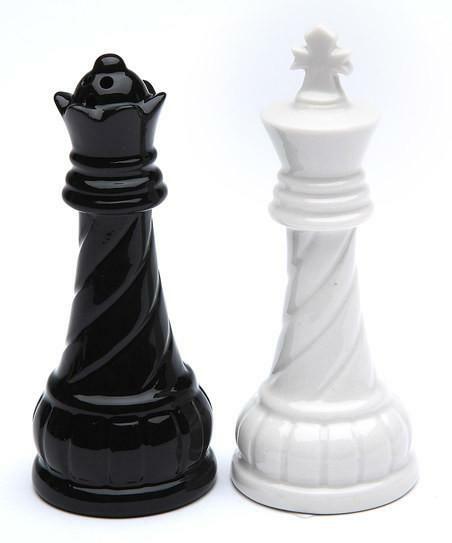 Chess King Queen Salt and Pepper Shaker Set: Now the honor to seasoning your meals goes to Chess King Queen who are here as salt and pepper shaker set just for you. Buy Now. 11 Must Have "Back To The Future" Inspired Items. 12 Famous Logos Transformed Into Everyday Items. 11 Must Have Teacups For Unwanted Guests. 12 Smart Gadgets For Every Tech-Savvy Mom. 12 Fun Office Toys and Gadgets. 12 Must Have Train Commuter Essentials. 12 Best Hangers You Can Buy. 12 Best 2018 Calendars For You. 12 Cutest Animal Themed Products. 12 Best Keychains for 2018. 12 Coolest Icecube Trays For Your Summer Parties. 12 Coolest Pokemon Themed Products. 12 Cute Bread Slice Themed Products. 12 Must Have Harry Potter Inspired Products. 12 Coolest Star Trek Inspired Gadgets.